This post is sponsored by Arla foods. 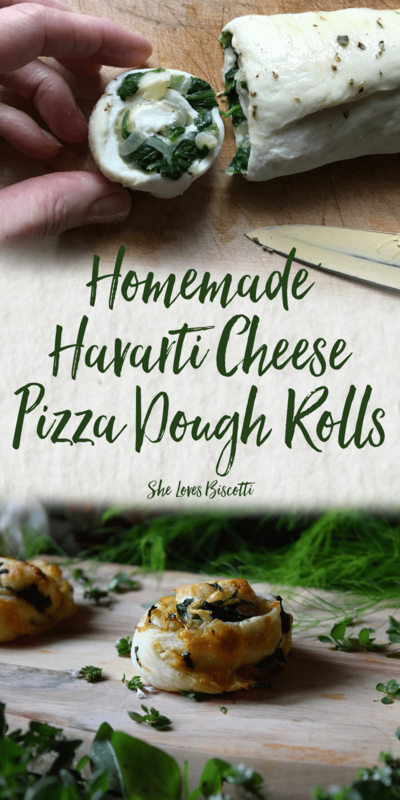 This recipe for these Homemade Havarti Cheese Pizza Dough Rolls is perfect for when you are looking for a little snack to tie you over until your next meal. It’s time to say so long to the backyard barbecues, the pool parties, the soccer games, summer camp and the endless flurry of summer activities. As much as I enjoy summer, I love fall and everything associated with it. It’s a magical time when Mother Nature takes the role of an artist and paints a canvas of colors for all to see, from scarlet reds to pale golds. It is as though she is encouraging us to take the time to reflect and appreciate all that she is offering – before she takes it away with her icy fingers of winter. One final encore before she settles down to rest …but only for a little while. Is it any surprise we celebrate Thanksgiving in the fall? It is a time of gratitude. It is a time for reflection. It is also a time to s-l-o-w down the pace. From a distance I hear a school bell ringing, signaling the start of the new school year. And I think how, in many ways, fall is just as much a new beginning as it is an ending. It seems to me that there is no better way to mark the passing of time than through the growth of our kids. I am reminded once again how quickly it seems to go by, just like the changing of the seasons. And I think to myself, how wonderful to be able to experience and appreciate all these changes. As I continue my brisk walk, I come to the realization that the days have definitely become shorter, and the sun’s rays are not as hot. Sweater weather has returned and it feels good. I have a special relationship with October as it is my birth month. My “feeling good” thoughts turn to comfort foods and what they mean to me. The food that I ate growing up featured simple, fresh and flavorful ingredients – that is the essence of Italian cuisine. And the older I get, the more this philosophical approach to food resonates with me, not only as a dietitian, but also as a mother and soon to be grandmother. A couple of weeks ago, I was offered the opportunity to team up with Arla Foods to create a recipe using Arla Herbs & Spices Havarti slices. I was already familiar with Arla Foods and their philosophy of using no additives and natural ingredients. I will wait for you right here while you go check out their inspiring Instagram feed (just click on the highlighted text). The minute I tasted this perfectly spiced Havarti, I knew I wanted to use it with my mom’s pizza dough recipe. If you have never made your own pizza dough, it’s lots of fun and a lot easier than you can imagine. Just in case you are wondering, you do not need to originate from Naples to make pizza dough… although it is a plus 😉 Feel free to use store bought pizza dough, wouldn’t want you to miss out of this great snack! So, are you ready to make these little morsels of deliciousness? 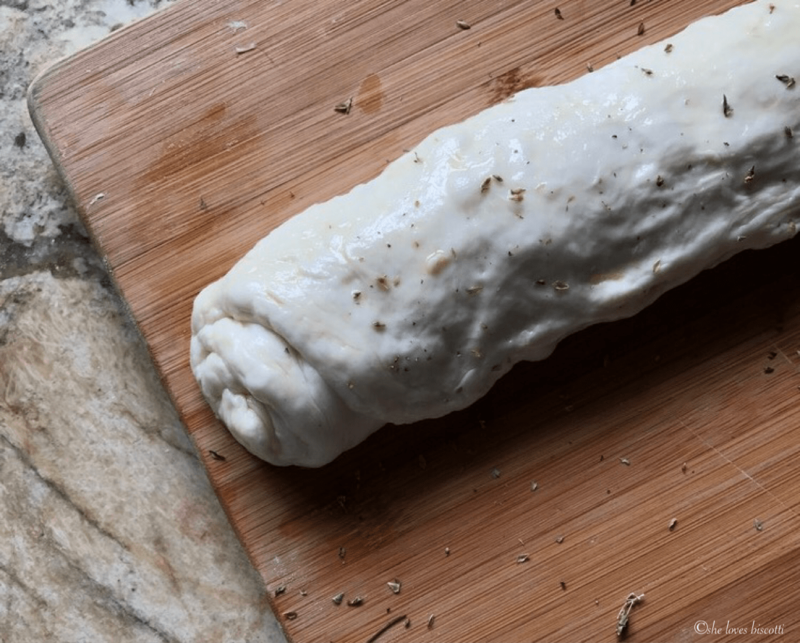 Let me show you how I make these Homemade Havarti Cheese Pizza Dough Rolls. Begin by preheating your oven to 450°F (230° C). We then need to line a baking sheet with parchment paper. Set it aside while we cook the vegetables. Just a quick note: if you decide to make my mom’s pizza dough recipe, please follow scenario #2. Over medium heat, add one tablespoon of olive oil in a large skillet. Add the thinly sliced onions and cook for about 10-12 minutes or until softened. Make sure to stir frequently and to season with salt and pepper. 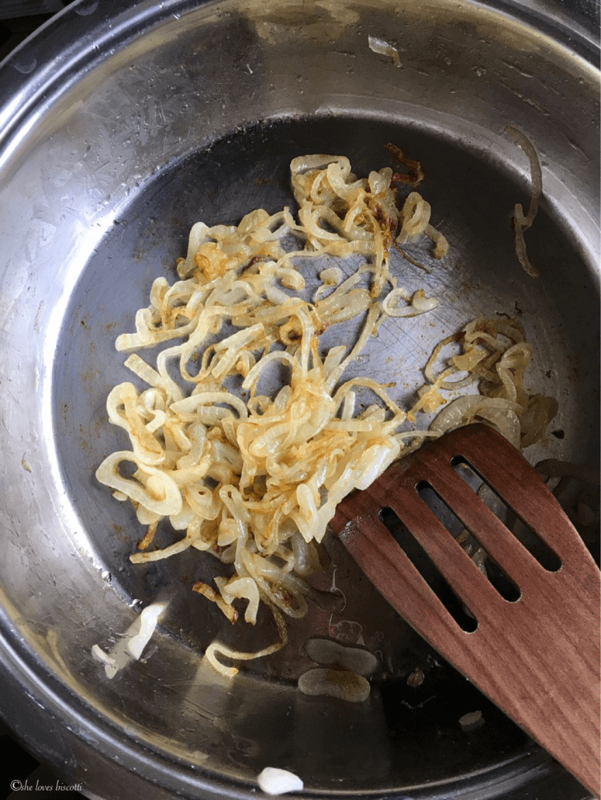 Once cooked, remove the onions from the heat and set aside in a bowl to cool off. 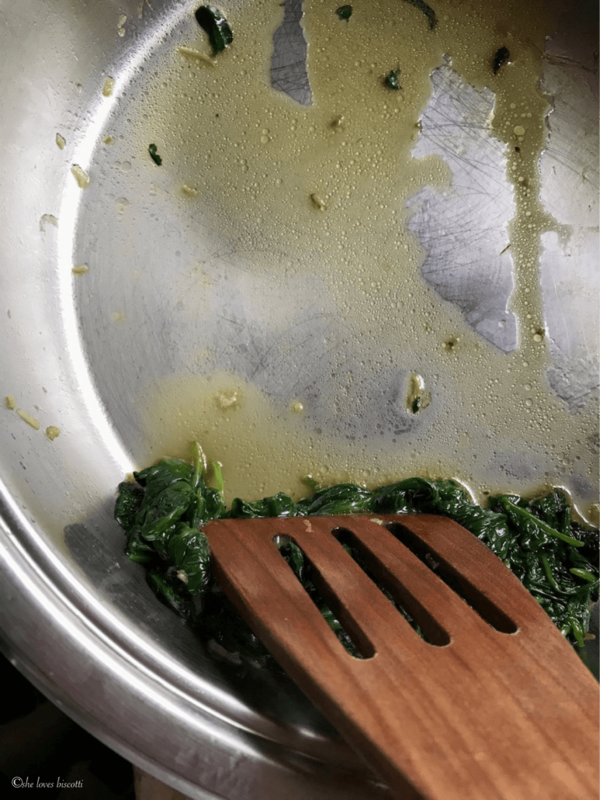 In the same skillet, add one tablespoon of olive oil. Add the minced garlic and stir fry for about one minute. Add the spinach and a couple of tablespoons of water. Cover and increase heat to medium-high for about 1 minute. 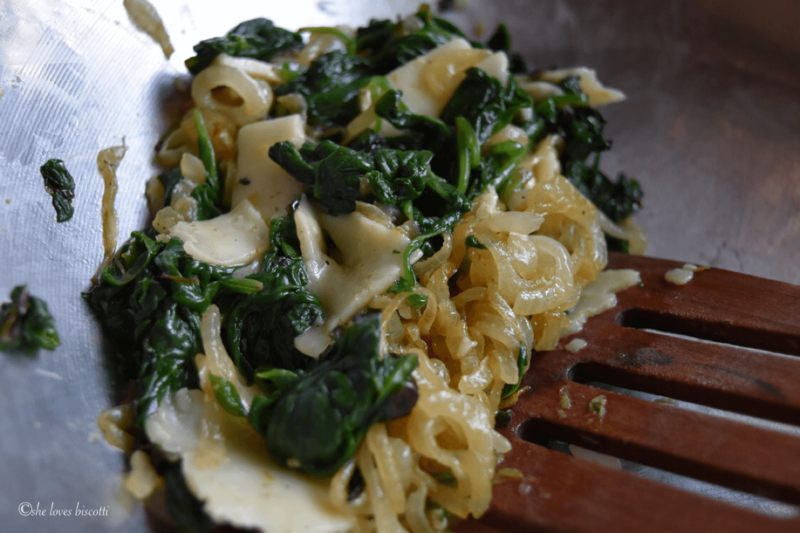 Remove cover, decrease the heat to medium and cook until spinach has wilted and most of the moisture has evaporated. Make sure to stir frequently. Squeeze out the excess moisture and add the spinach to the bowl of cooked onions. 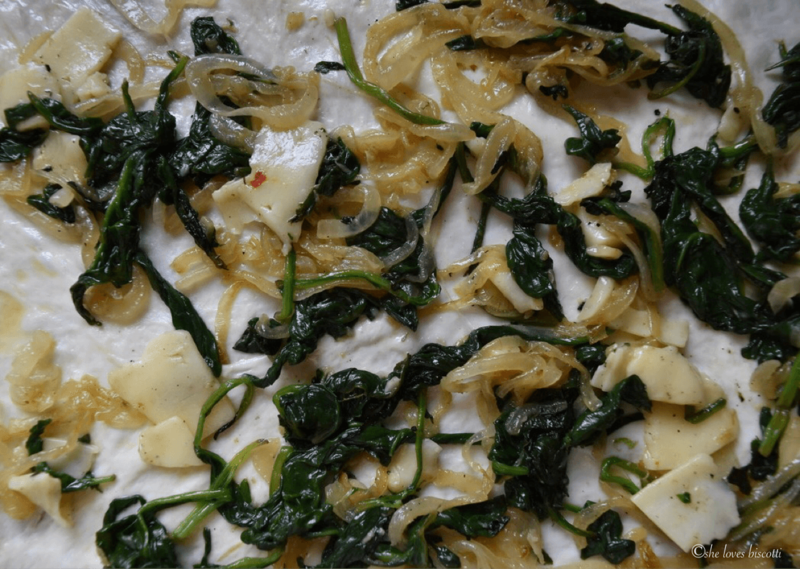 Chopped frozen spinach can be used instead of fresh. Just make sure to thaw and squeeze very dry before using. Method #1: I added four slices of Arla Havarti Herbs and Spices to the cooked vegetables. I then proceeded to spread out a third of the mixture evenly over a third of the pizza dough. Remember, less is more as far as the filling is concerned. Also, the next time I prepare this filling, I will grab my scissors and give this vegetable mixture a rough “cut”. Roll the dough on the long side into a tight log. Make sure to pinch the bottom seam together. Please do not worry about the specific measurements of the rolled out pizza dough. I have only included them as a guideline. As long as you have a rectangle shape, your rolls will turn out great. I will divide the pizza dough in thirds and make a 6 x 12 inch rectangle. The end result are rolls which are about two inches in diameter. 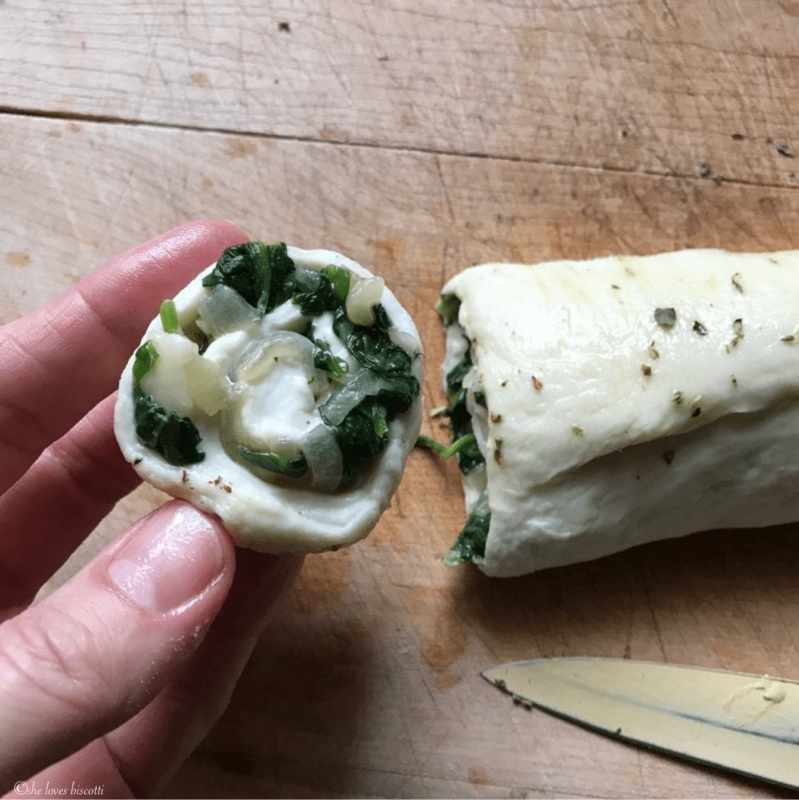 If you want bigger rolls, make a larger rectangle. Experiment and have fun with this! Once the dough is rolled up, I brushed about a half teaspoon of olive oil over the top followed by a sprinkle of oregano. I then proceeded to slice my log into 1-inch pieces. Place your roll on the parchment paper and gently press down on the top. Continue with the rest of your pizza dough rolls. Allow the rolls to rest for about fifteen minutes before baking them. Method #2: I left the slices of Arla Havarti Herbs and Spices intact and placed them on the stretched out pizza dough. The rest of the procedure was the same as method #1. Once baked, I still preferred the first method. These Homemade Havarti Cheese Pizza Dough Rolls can be served immediately or they can be frozen. After theses little nibbles have cooled down, place them on a sheet pan and place them in a freezer. Once frozen, transfer in plastic bag and store in freezer. Once the munchies hit, simply heat and enjoy! 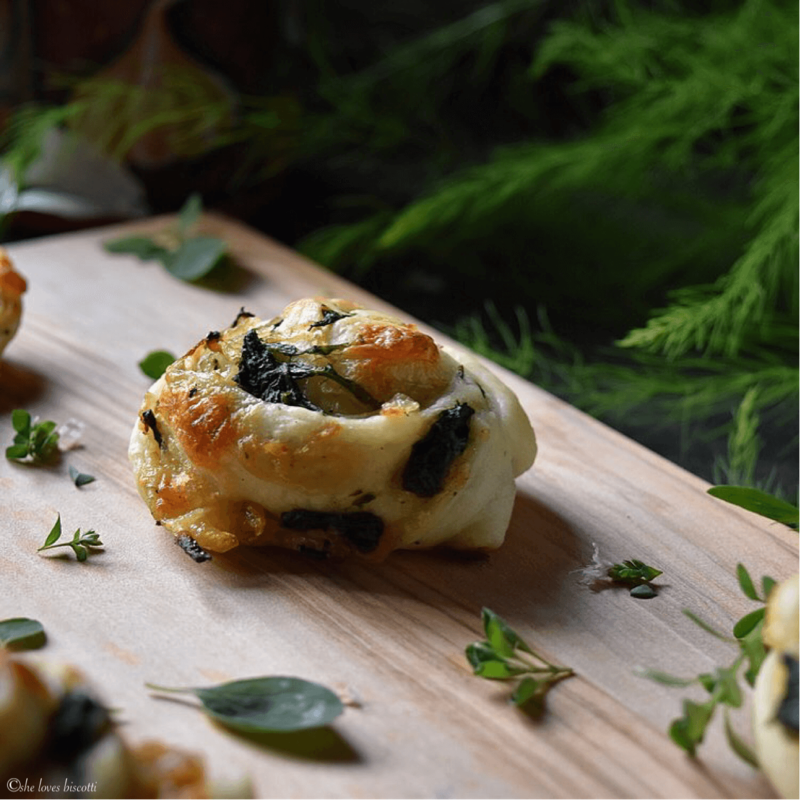 Be forewarned, these little Havarti bites are irresistible once they come out of the oven. I can’t wait to make a batch the next time “the boys” are watching the game. I bet they make the perfect half time snack! 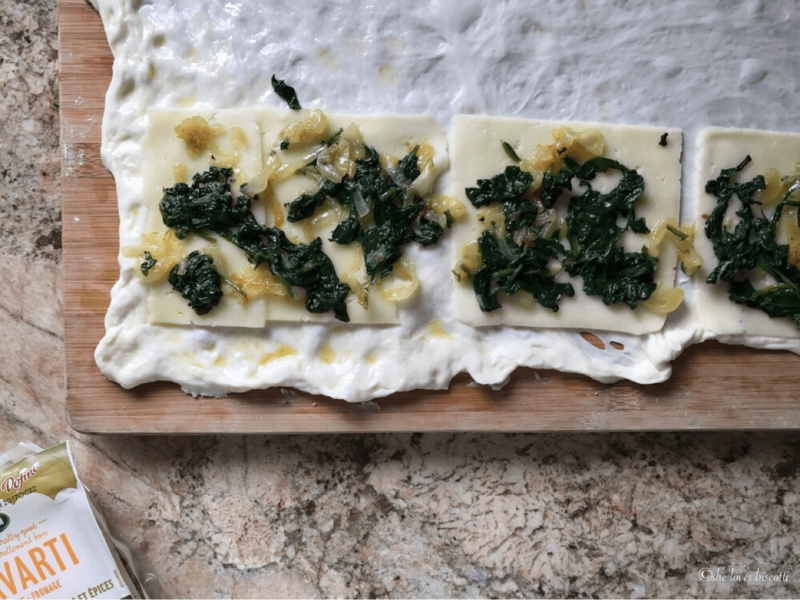 The concept of using pizza dough as a vehicle to showcase vegetables and cheese is a familiar one, especially in Italian cuisine. There truly are endless possibilities. 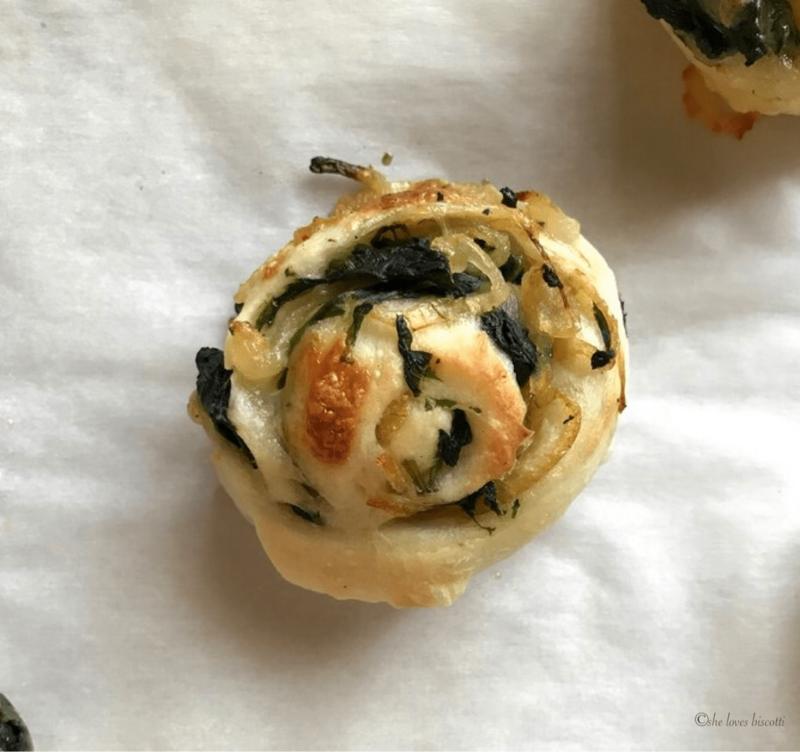 My mom would often stuff her pizza dough rolls with different types of vegetable greens and cheese. A colleague of mine uses a mixture of sausage, onions and rapini. 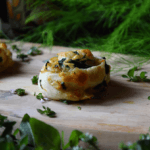 The combination of Arla Havarti Herbs and Spices with slightly sweet onions and spinach enclosed in a pizza dough have quickly become my family’s favorite snack food. I guarantee these Homemade Havarti Cheese Pizza Dough Rolls will also become a household hit in your homes. The perfect snack food no matter what season it is. 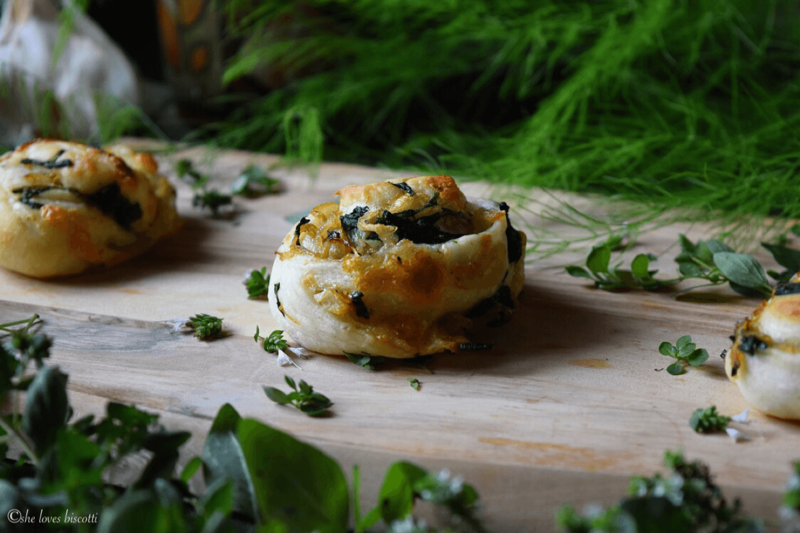 This recipe for these Homemade Havarti Cheese Pizza Rolls is perfect for when you are looking for a little snack to tie you over until your next meal. Preheat oven to 450°F (230° C). Over medium heat, add 1 tablespoon of olive oil in a large skillet. Add onions and cook for about 10-12 minutes or until softened. Stir frequently. Season with salt and pepper. Remove from heat and set aside in a bowl to cool off. In the same skillet, add 1 tablespoon of olive oil. Add the spinach and 1-2 tablespoon of water. Remove cover, decrease the heat to medium and cook until spinach has wilted, about 3 minutes. Stir frequently. Squeeze excess moisture and add to onions. Roughly "cut-up" the vegetables with scissors. Add the cheese, and mix together. Divide pizza dough in thirds. 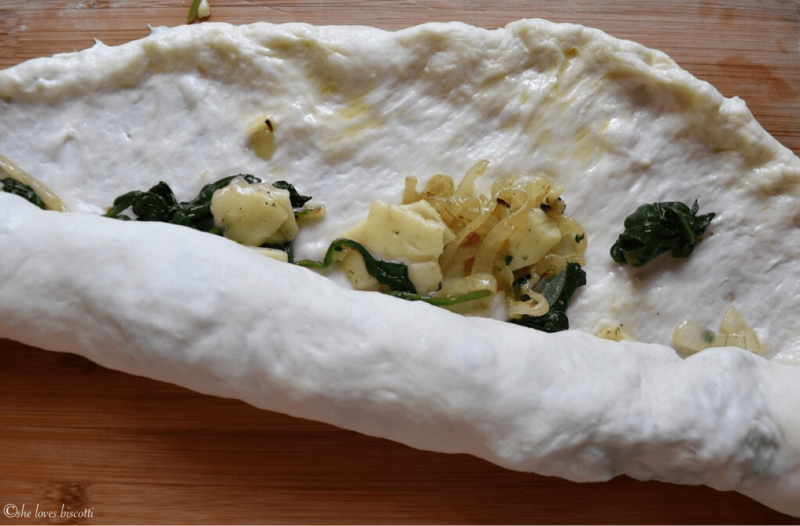 Place dough on a floured surface and stretch out dough with finger tips which have been dipped in olive oil to form a large rectangle, approximately 6 x 12 inches and 1/4 inch thick. Allow to rest for about 10-15 minutes. Spread about a third of the mixture and drizzle olive oil over the top. Roll the dough on the long side into a tight log. Pinch the seam together. Brush the top of the log with about half a teaspoon of olive oil followed by a sprinkle of dried oregano. Pinch the ends together before cutting each 1-inch roll. Place each roll on the parchment paper and gently press down on the top. Continue in this manner until all of your pizza dough rolls are on your parchment paper. Allow the rolls to rest for about 15- 20 minutes before baking them. Bake in a 450°F (230° C) preheated oven for about 10 - 12 minutes. 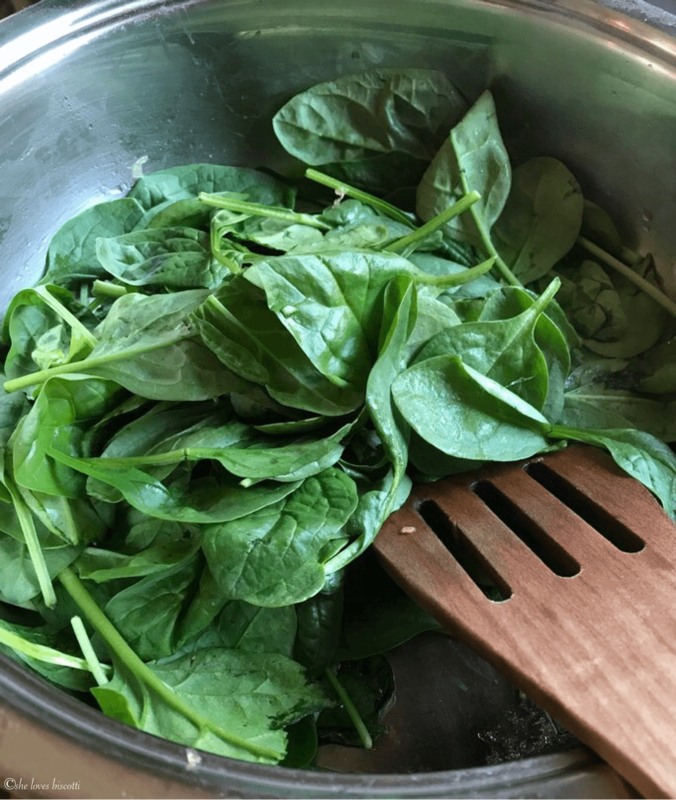 Chopped frozen spinach can be used instead of fresh. Make sure to thaw and squeeze very dry before using. Disclosure: This post was created in partnership with Arla Foods. I received compensation and product in exchange for writing this review. Although this post is sponsored, all opinions are my own. Thank-you for supporting the brands I love and use in my own kitchen. LOVE THIS POST? PIN IT TO YOUR SNACK BOARD! Follow She Loves Biscotti for more simple recipes ? The only difficulty I would have with this particular recipe is consuming the entire lot! The look irresistible and the log method of rolling and cutting is perfect for me. Great idea to include the directions for freezing although, to be honest I don’t think I would get a chance to squirrel any away! Lol… easier said than done. I can definitely vouch for that 🙂 Thanks for dropping by Bernice! This looks like a wonderful and tasty recipe. Isn’t it a shame that fall is such a short season? I love it too. 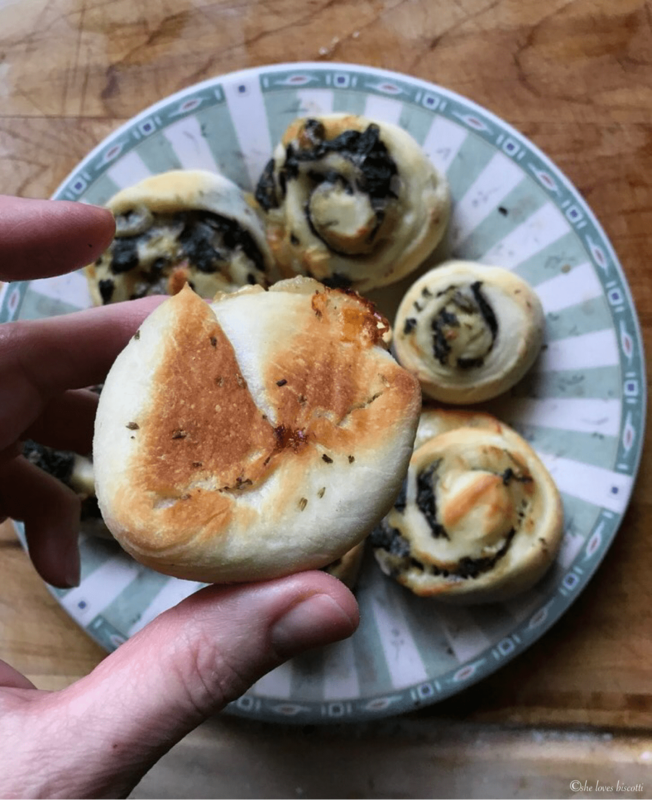 I always make my own pizza dough, and these rolls are a must try, they look amazing! Thanks for the inspiration. What a delicious looking snack, Maria. The combination of flavours is savoury and fragrant, I am sure. I have not yet tried this particular cheese – I will look for it. Thanks for the inspiration. These look amazing! My hubby would LOVE these! OMG … this looks so amazing … I wanted to reach into this post and grab one!